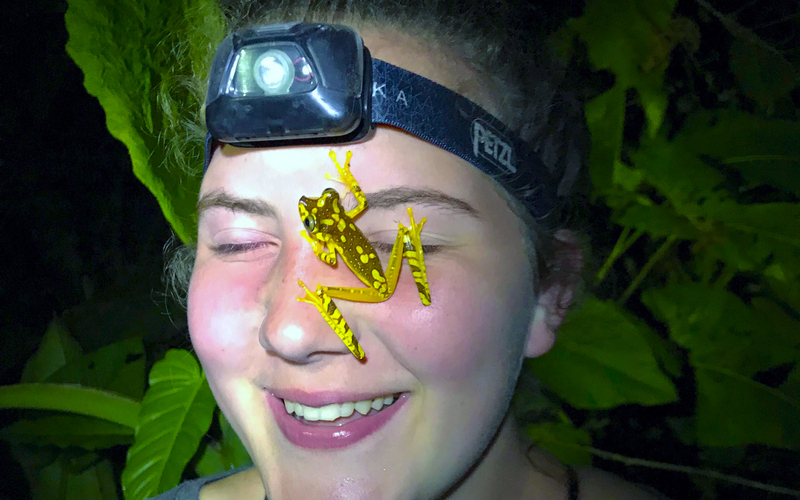 In 2018, the FCJ began an innovative volunteer program with the objective of providing volunteers with a field experience, where they can contribute to conservation, reforestation, research, community development and environmental education, all in a safe environment. Ecuador is one of the most mega-diverse countries on the planet, with the highest concentration of biodiversity per square kilometer, between 5% and 10% of the world's biodiversity (17.9% of bird species, 10% of vascular plants, 8% of mammals, 10% amphibians). Thanks to its privileged location along the Equatorial line and the presence of the Andes mountains, Ecuador has 46 different ecosystems. In addition, the Galapagos Islands, cradle of Darwin's theory of evolution, is part of the Ecuadorian territory. The Jocotoco Conservation Foundation has remarkable natural reserves that preserve the endemic flora and fauna of Ecuador, some of the species that inhabit them are at risk of extinction. The work of the volunteers will contribute directly to the conservation of wildlife and their habitats. The nature reserves are the ideal place to develop scientific research projects, thesis development and volunteering for academic purposes. Learn to relate being a volunteer, you will meet new people, it will help you to open up to others and improve your group work skills.